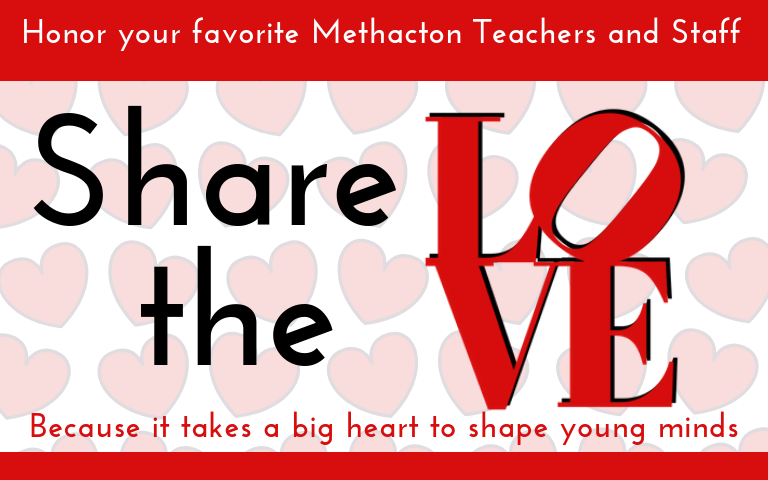 This is the chance to show your gratitude and honor a Methacton Teacher or Staff Member who has impacted your child's life. Send them a "SHARE THE LOVE" certificate during Teacher Appreciation Month in May by making a donation in their honor today. Type exactly how it will printed, i.e. : "The Smith Family," "Johnny Smith," "Anonymous"